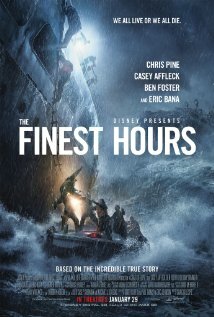 The Finest Hours, a true story of miraculous courage and seamanship exhibited by U.S Coast Guardsmen in the fierce winter storm of 1952 off the New England coast, is now available on Netflix for live streaming. Chris Pine does a believable job of portraying Boatswain Mate Bernard Webber, the small boat coxswain who led his small but intrepid crew across the treacherous bar at Chatham Bay, Massachusetts to find and retrieve the surviving crew of the American oil tanker, Pendleton, after it split in two in the waters off Cape Cod. Seemingly against all odds, and with the local Coast Guard stretched thin in resources because of another oil tanker, the Fort Mercer, which also broke apart in the same storm just miles away. You are strongly encouraged to read the historical account of what happened on that fateful day in February in the Coast Guard's online historical archive before going any further into this review. It is definitely a case of truth being far more fantastic than fiction. If you liked The Perfect Storm, starring George Clooney, then you will definitely enjoy the spectacular production that went into the making of this film also. There's more that can be said from an objective reviewer's point of view but I am more than that. I'm a Coast Guard search and rescue veteran myself, having served in stations along the Pacific Northwest and within the Great Lakes region. Also, I worked aboard merchant freighters as an Able Bodied Seaman on all three of America's coasts and within inland waters. This experience gives me a unique perspective on the film's sense of reality. First of all, the movie is based on the non-fiction book, The Finest Hours: The True Story of the U.S. Coast Guard's Most Daring Sea Rescue, coauthored by Michael J. Tougias and Casey Sherman which I'll probably be reviewing in the near future. (You can see my other book and film reviews on this blog site also). So, according to other film critics, the historical rescue scenes of this movie are very close to true but the love interest, although cutesy, is completely fictionalized. Yet I digress. The main point which I press to conclude with is this: We, as a nation, have become so far removed from our past, forgetting that we are bordered by three oceans that connect us to the rest of the world. At one time, America dominated seagoing business and commerce and our great history, and the brave men who filled out its pages on the waters of this land, is all but forgotten to most of us. We sit in traffic in our little metal islands of four wheels, separated from the vast manifestation of God's handiwork that made our relatively easy and prosperous lives possible and have denied the Creator's role in almost all of our lives. Even in the film, God is wiped out because the truth is that the Coast Guard crew sang the hymn "Rock of Ages" as they departed the comfort of land into treacherous waters, trusting in our Lord and He rewarded them with supernatural guidance and protection that will remain forever legendary. The filmmakers decided to replace this truth in the movie with a bawdy sailor ditty sung by the terrified crew and this is, sadly and ultimately, what we who have gone down to the sea in ships who fear the Lord must lament in these latter days. 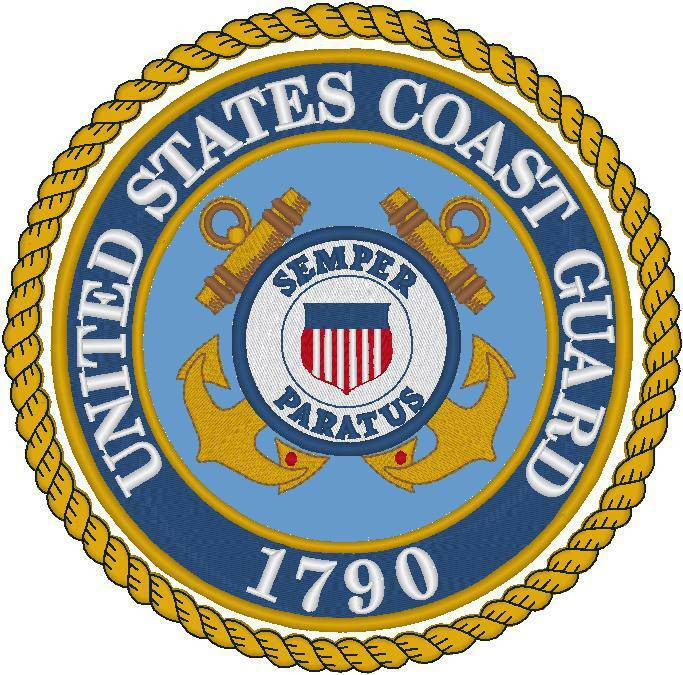 Semper Paratus--"Always Ready" is the motto of the nation's oldest seagoing outfit and "the joy of the Lord is my strength" is for those of us who profess truth unashamedly still.